Zucchini is having a moment. It’s that time of year when it’s literally coming out of everyone ears. Not mine because I have a black thumb and can’t keep a garden to save my life… but everyone else I know is rocking the zucchini like whoa! 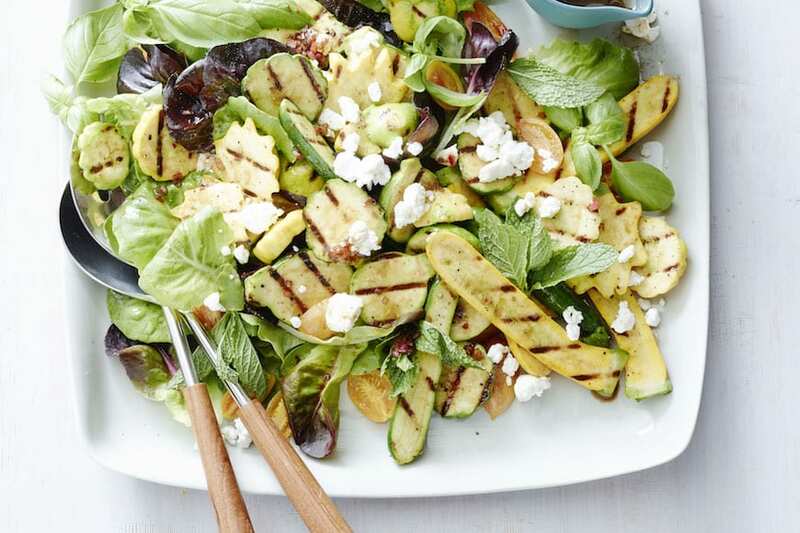 So there’s a Grilled Zucchini Salad to celebrate! And if you have a black thumb like me, just grab some at the market and pretend that you grew it. No one will know the difference, promise! Until then… ZUCCHINI SALAD FOR EVERYONE!! Prepare an indoor or outdoor grill over medium high heat. To make the dressing, combine all the ingredients in a small bowl and whisk together until evenly combined. Dress the salad with 1/2 of the vinaigrette and taste. Add more vinaigrette if needed otherwise reserve the remaining vinaigrette for a later use. Cut summer squash into 1 inch pieces. Brush the summer squash with olive oil and season with salt and pepper. Grill for 3-4 minutes on each side until grill marks are present. 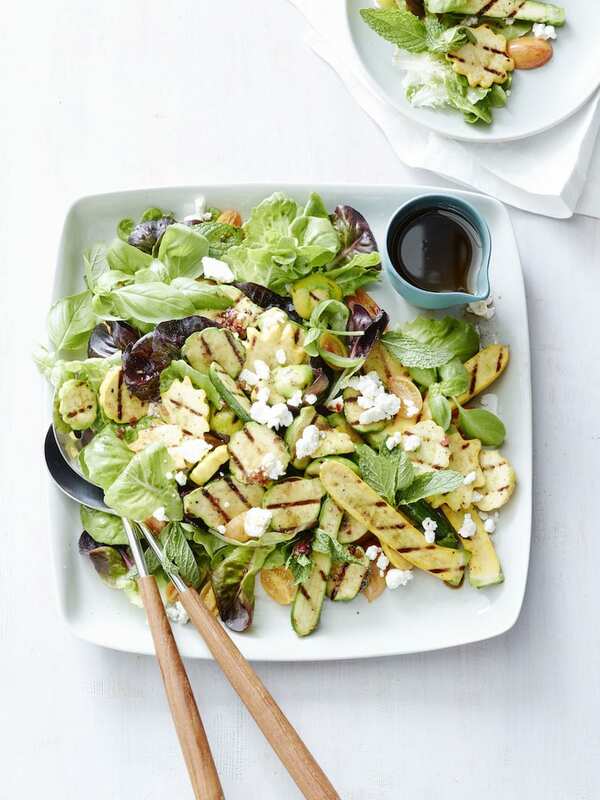 Remove from the grill and brush the grilled zucchini with a bit of the balsamic vinaigrette. Set aside. On a platter, arrange the lettuce, grilled squash, cherry tomatoes and herbs. Top with the goat cheese and drizzle with the balsamic vinaigrette. Serve immediately. Yes!! Such a perfect end-of-summer recipe. I LOVE this. You may have a black thumb in the garden, but you have a huge thumbs up in the kitchen! This is my kind of salad! So awesome! I am always looking for new things to do with all my zucchini!! Gorgeous! I want this for dinner! Pinned! This is so pretty, and the perfect use for the zucchini that my mom keeps bringing over (and over and over) from her garden. Plus I will eat just about anything with goat cheese in it. 🙂 Yum! OH YUM!!!! this is perfect! I could eat a giant plate full of this. It looks awesome! That’s me too-black thumbs. I’m all for the farmers market! 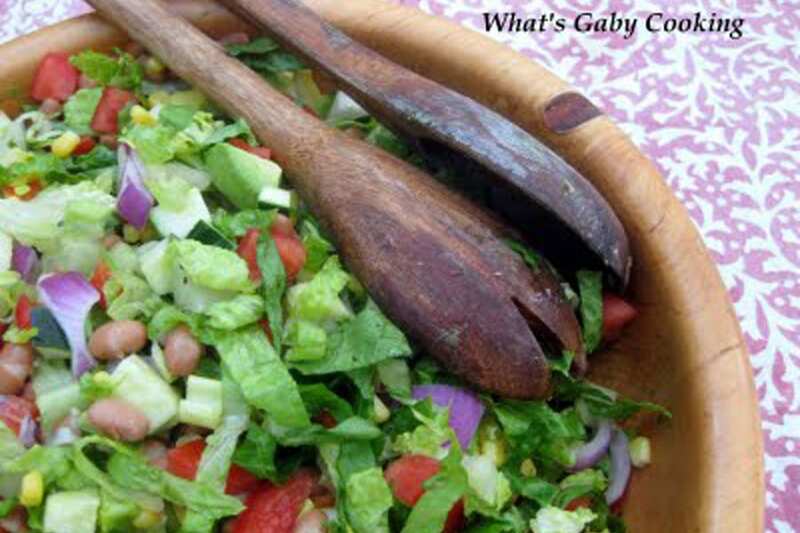 Love how this summer salad! This is summer perfection on a plate. 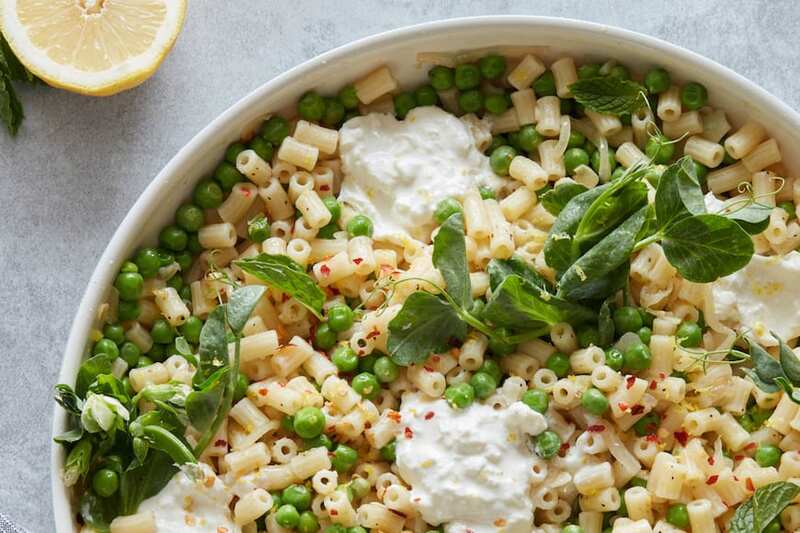 This salad looks delicious! I don’t eat enough salads, which needs to change!